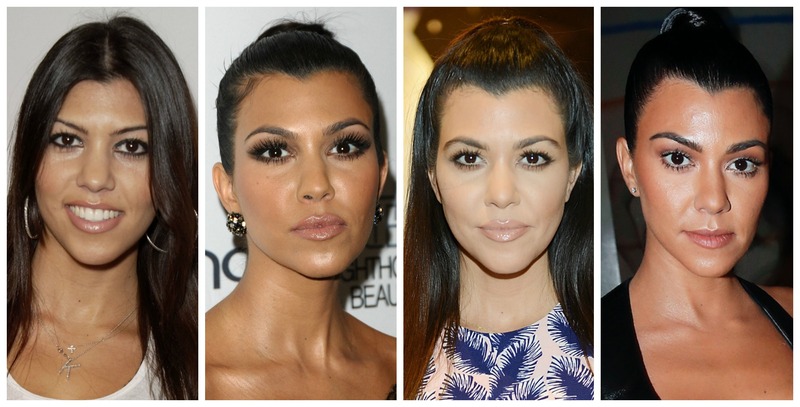 The Kardashians are constantly sparking plastic surgery rumors! Whether or not they admit to going under the knife, the famous family can’t deny that their looks have drastically changed over the years. Recently, Kendall Jenner — who’s known to be the “natural one” in the clan — had fans questioning if she’s gotten work done on her lips after a photo taken with sister Kylie Jenner was shared on the Internet. However, the sisters quickly dispelled those reports. Despite the rumors, Kendall assured fans that she did not have any type of cosmetic surgery. “As a model, why would I have my face reconstructed? It doesn’t even make sense.” But, what about the rest of the family? Click through to see Kim, Khloé, and the rest of the gang transform over time! Click to see the Kardashians' exes, then vs. now!